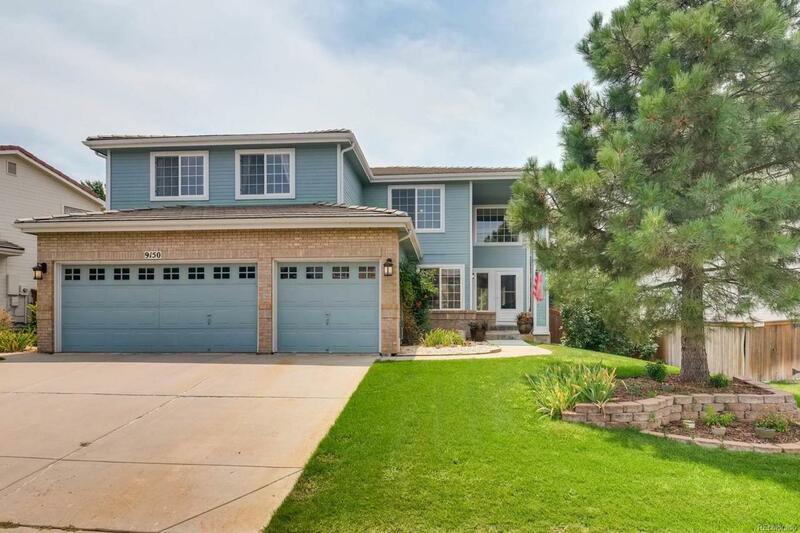 Amazing 3 Bedroom Home with monstrous 3 Car Garage, Main Floor Study and additional Bonus Room/Loft located in Highlands Ranch! Main floor study comes equipped with plenty of built-ins for your home office set up! Beautifully shining hardwood floors and 18' Ceilings greet you as soon as you enter! Spacious Kitchen with Kitchen Island, Eat In Breakfast Nook and Double Ovens! Family Room includes a gas fireplace and door access to exterior patio. Upstairs loft can be used as play room or secondary family room. Upstairs Master Bedroom features an enormous walk-in closet and Five-Piece Master Bath! Large Unfinished Basement with Rough-In Plumbing can be used for storage or finished off and awaiting your finishing touches! HOA includes all 4 HR Rec Centers. Close to parks, trails, highway access, public transit, restaurants, shopping and much more! DO NOT HESITATE ON THIS BEAUTY!